Holmes Partnership’s Renfrew Health and Social Work Centre has scooped three prestigious awards over the last week, just months after opening its doors to patients earlier this year. 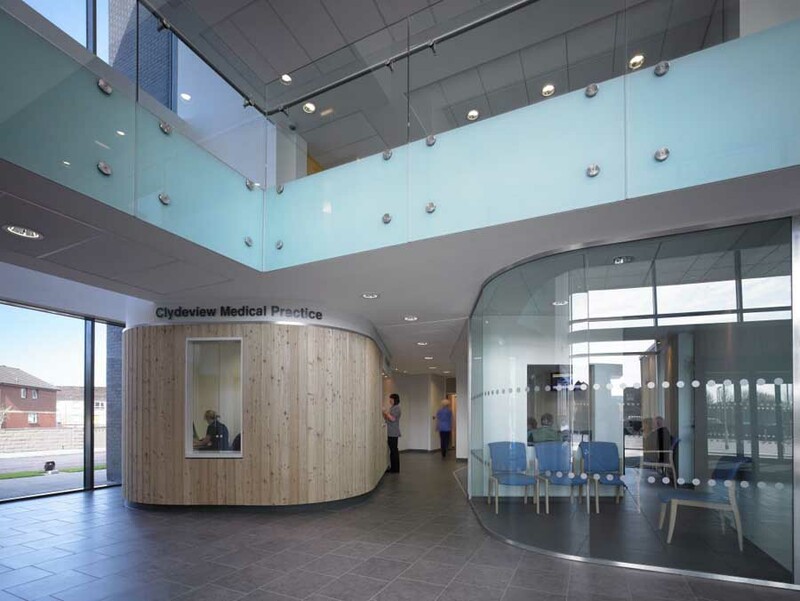 The three awards achieved are the Glasgow Institute of Architects (GIA) Design Award for Healthcare, the Health Facilities Scotland Design Award and the Health Facilities Scotland ‘Paul Taylor Award’, which is presented to the entry which is deemed by the judges to be the best overall winner. Renfrew Health and Social Work Centre was developed through a joint partnership between NHS Greater Glasgow and Clyde and Renfrewshire Council, providing a centre of excellence within the heart of the local community. The new Centre provides the local community with a building which demonstrates the increasing expectations of health and social work professionals, patients and the general public and adds to a positive image for the future of Renfrew. The new centre has been designed around an internal street flooded with natural daylight which provides order and hierarchy to the building functions with clear circulation and way-finding leading to 3 GP Practices, a Dental Practice, Physiotherapy, Podiatry, Speech & Language Therapy, Learning Disabilities Services, District Nurse & Health Visitor, Audiology and Social Work. 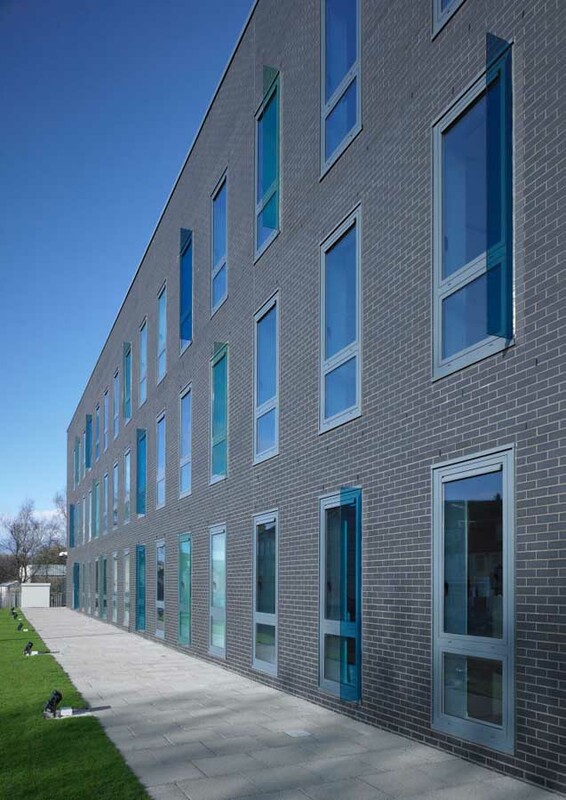 Glasgow based architects Holmes have unveiled their latest healthcare project, Renfrew Health and Social Work Centre. In bringing together multiple service providers under one roof as a ‘one stop shop’, the centre not only sets a new benchmark in therapeutic design, but can also be viewed as an important prototype for the new Scottish Futures Trust (SFT) Hub Initiative, which aims to maximise value for money by promoting local collaboration in planning and delivering public services. 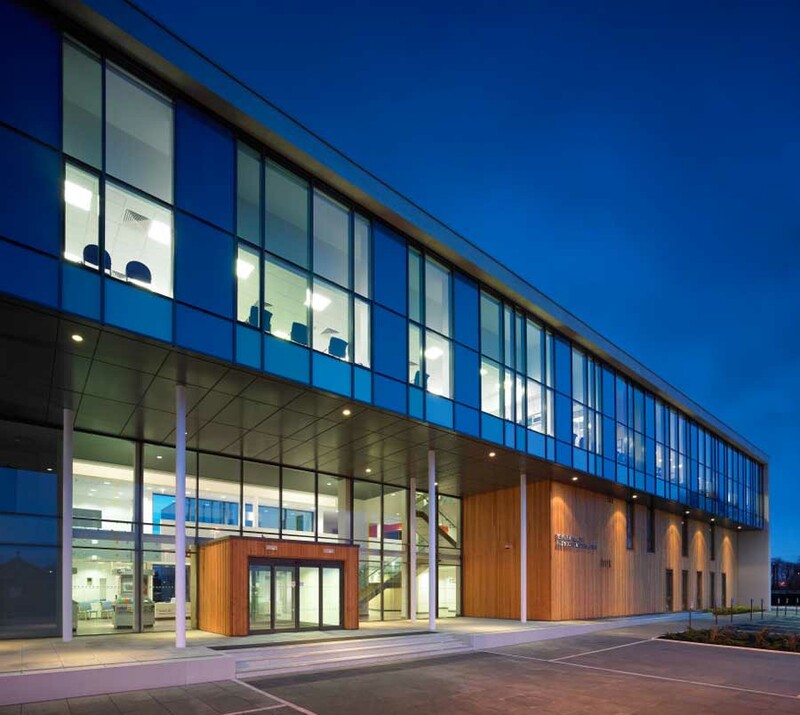 The £11 million purpose built healthcare facility which uniquely combines NHS Greater Glasgow and Clyde run services with those provide by Renfrewshire Council, was designed by Holmes following their successful bid in an invited bid with Interserve Building. 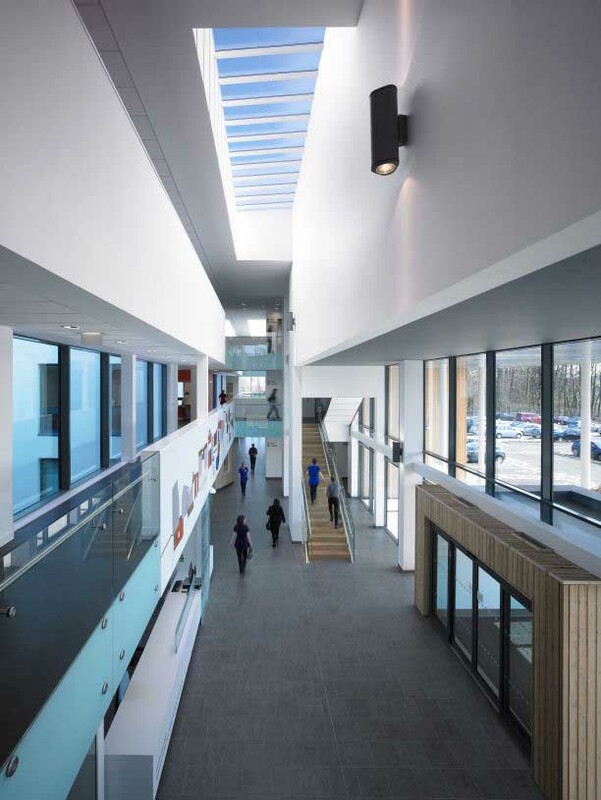 Responding to the overall brief, the building adopts a light, airy non-institutional design approach to support and facilitate a range of patient care facilities – including GP practices, as well as a dental service, physiotherapy, podiatry, speech and language therapy, community nursing, and Renfrewshire’s Joint Learning Disability service and Renfrew area’s Social Work team. 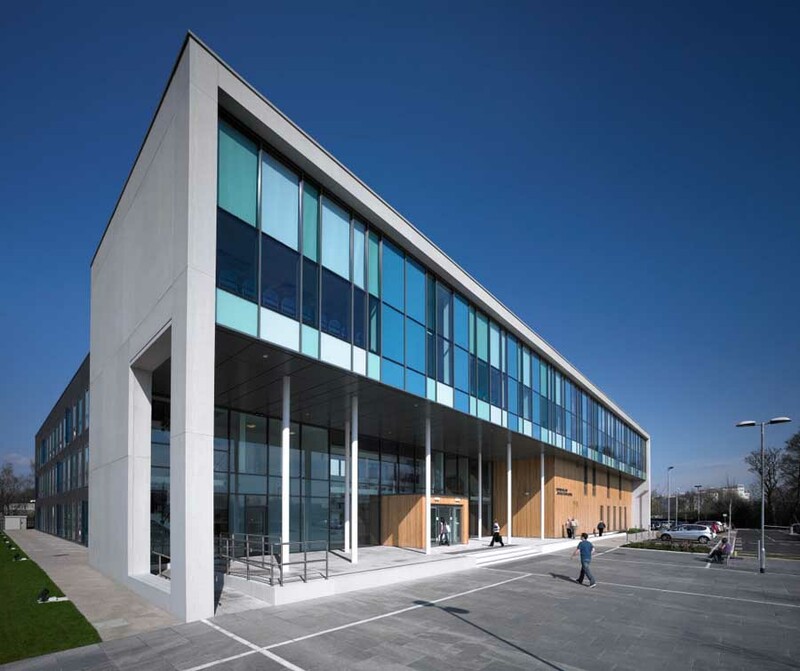 The new facility, which is considered to be a key catalyst in terms of the regeneration of Renfrew and the Clyde Waterfront as a whole, features three rectilinear accommodation blocks connected by a glazed entrance and triple height glazed circulation route. Looking out over the newly created public square, the building’s frontage has been designed to offer an appropriately welcoming and accessible face. Internally, the entrance and circulation space is effectively a continuation of the public square leading into the building, and has been envisaged as a ‘streetscape’, featuring a triple height volume with glazed screens at either end of the building and rooflights above to flood the space with natural light. 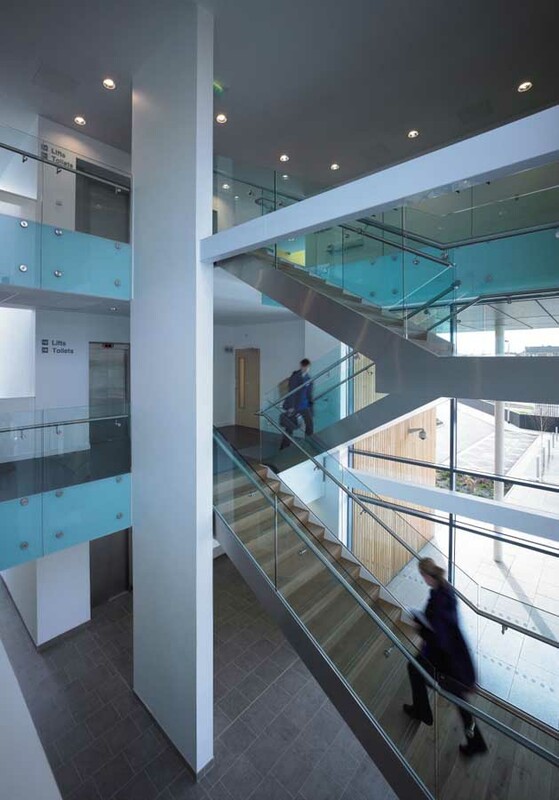 Individual departments and consultation areas, contained within the three accommodation blocks, are securely self-contained, a design device that not only enables maximum patient privacy, but also allows the main streetscape in the public entrance building to remain independently open and accessible. A uniquely close and extensive collaboration with local community groups, as well as the client and end users, ensured that the completed building nurtured a real sense of ownership within the wider community. Meetings, presentations and discussions were undertaken with the local Community Council, Disability Group, Primary and Secondary Schools and the local Reid Kerr College. In addition, internationally renowned Glasgow based artist Toby Paterson was commissioned to complete a major new site-specific artwork in the entrance of the new building following an invited competition held by the centre’s ‘Artworks Public Involvement Group’. Holmes was formed over fifty years ago and has established a reputation for delivering innovative and intelligent solutions across all sectors. With offices in Glasgow and Edinburgh, Holmes works with clients across all sectors, including residential, commercial, education, industrial, and justice. 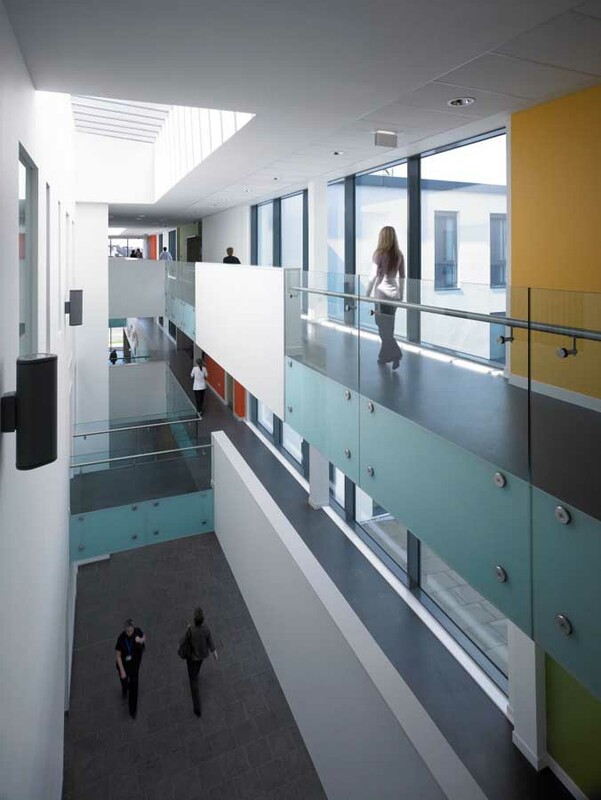 Current workload includes major residential regeneration projects; city centre and business park commercial developments; and an extensive school building programme for local authority clients. Holmes is an approved architectural consultant on the ‘NHS Scotland Acute Healthcare Framework’.